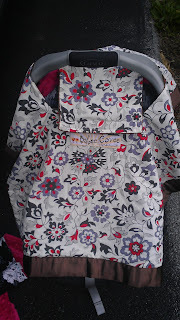 The Babee CoveeTM has become a baby gear must have. This luxury 6-in-1 multi-use, baby blanket and cover eliminates bulk, saves money and makes traveling a snap with baby while creating a clean, germ-free area wherever you go! Its six uses are: 1) car seat "tent" cover 2) nursing cover 3) shopping cart cover 4) high chair cover 5) stroller blanket and 6) playtime blanket. When you have a baby , especially your first you see so many fun products that you just know you are going to NEED! I have bought so many products that we felt this way about and then never used! So when I do find products that I feel this way about and then come to find out it was true , I did Need it , I get really excited! I was recently intoduced to the Babee Covee and this is one of those products! I really wish I had it with baby #1 & 2. The Babee Covee is a product that can be used in 6 ways! Yes, one product with 6 uses! This is good for so many reasons! First off the Babee Covee sells for just $39.99 (for solids) and $49.99 (for prints), if you bought 6 individual items to fulfill all of these purposes you would spend well over this amount. So what does the Babee Covee do? Its six uses are: 1) car seat "tent" cover 2) nursing cover 3) shopping cart cover 4) high chair cover 5) stroller blanket and 6) playtime blanket. The first use, a car seat "tent". This is so easy to put onto the car seat, you simply un-velcro the top little square, slide the fabric under the car seat carry handle and re-velcro it. It literally takes about 30 seconds and it covers the whole car seat. This is a great use , it keeps the wind off of your baby and you aren't worrying about a blanket falling off. Second, you can use this for a nursing cover. 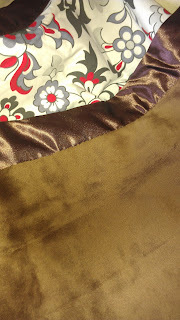 I do have another nursing cover that I just love...but this is what I love about this cover. First off the convenience of carrying just one item in my diaper bag that serves multiple purposes. And this cover is so easy to use! Sometimes I want a cover that is just super easy to maneuver with the baby but still feel covered and that is this cover! Fourth: High Chair cover. This is a use that I have not used yet. Honestly, we just aren't a family that goes out to eat a lot , so when we do my hubby and I try to go out on date nights without the kids ;-) Its honestly just every few months when we go out to eat with the kids. I do look forward to using this as a high chair cover when we do though, it goes on the same way it does for a shopping cart cover which is super easy to use!! 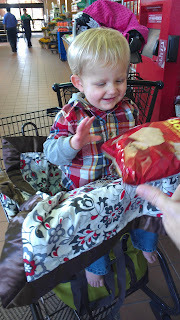 The fifth use is a Stroller blanket. This is another use that I haven't used yet. The weather just started getting cooler so I haven't needed to use it just yet. However I have used it as a blanket for my little girl in her swing. 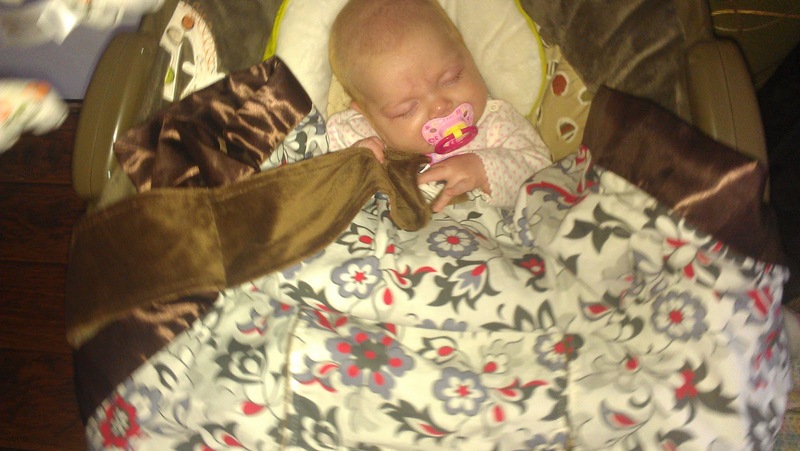 She loves to hold onto something at all times, so this blanket is perfect! She holds onto the little "ties" on it and it soothes her perfectly! I absolutely love this product!! This would make a great go to Baby Shower gift, I think any mom would love to have it! They offer 3 solid color prints and just came out 6 beautiful new prints. 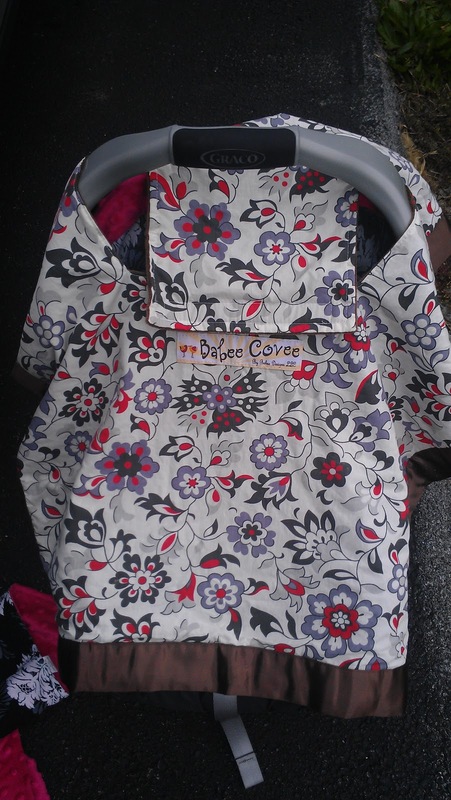 Each Babee Covee has a minky fabric underneath so when you use it as a blanket it is super soft against baby's skin. You can purchase these directly from their website (be sure to use the code 5Babee to get $5's off) and one of you will win one in your choice of solid print. (Lime, Strawberry or Blueberry) Please fill out the entry form below for your chance to win! This giveaway will stay open until Friday November 23rd. Good Luck!! 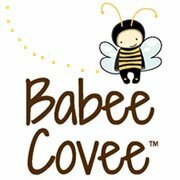 The Babee Covee Budee is another product they carry!